GrainBridge allows users to enter and track their futures positions. The application will show users what futures contracts are open and the current value of these contracts if they were offset today. Additionally, users can see the overall value of their futures contracts to their total production on a per bushel basis. After logging into GrainBridge, select the “Brokerage” tab at the top of the page and select “Futures”. Select the green “+Add futures trade” button. To add a futures trade, you will enter the contract order information. Today, you will take a short position on corn. Select “sell” as your position. Choose “Corn” as the profile and the commodity. Enter 5 in the “Contract quantity”. Recall that one standard contract of corn is 5,000 bushels. What is the total number of bushels in this contract? Share your answer with a classmate. Enter today’s futures price for DEC. Refer to the Grain PHD website under quotes and charts for this price. For example, if DEC corn is currently $4.25, enter this price in this field. Fees are determined by individual brokers and vary from one to the next. This is the cost of trading a futures contract. Enter $25.00 for the “Fee”. Enter today’s date as your trade date. Enter in the “Notes” section: “Price protection for corn. Offset by December 1st”. Notice your contract under the futures trades. The Commodity, Position, Quantity, Contract Month, Price, Latest Board Price, and Gain/Loss Details are listed. The number beneath “price” is the price at which the contract was sold. GrainBridge imports market prices at the end of every day. This is what’s listed beneath the “board price”. As long as this contract is open, the Board Price will change every day. The gain or loss will also fluctuate as the board price changes. Using GrainBridge, you can track your futures positions. Watch the board price over the next week and see how the value (Gain/Loss) of this contract changes. Initiate a futures contract for livestock. GrainBridge allows users to enter and track their futures positions. The application will show users what futures contracts are open and the current value of these contracts if they were offset today. Additionally, users can see the overall value of their futures contracts to their total production on a per pound basis. 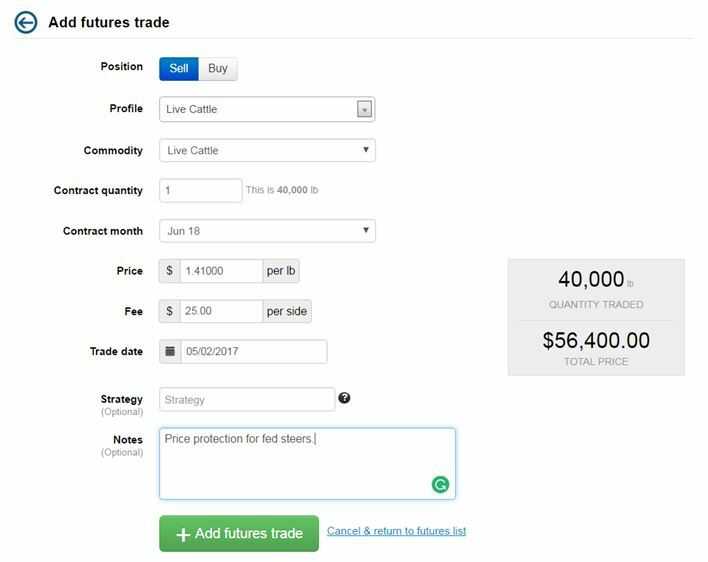 After logging into GrainBridge, select the “Brokerage” tab at the top of the page and select “Futures” on the dropdown. To add a futures trade, you will enter the contract order information. Today, you will take a short position on Live Cattle. Select “sell” as your position. Choose “Live Cattle” as the profile and as the commodity. Enter 1 in the contract quantity. Recall that one standard contract of live cattle is 40,000 pounds. What is the total number of pounds in this contract? Share your answer with a classmate. Enter today’s date as your “Trade date”. The number beneath “price” is the price at which the contract was initiated. GrainBridge imports the current market price at the end of every day. This is listed beneath the “Board” price. The steps below provide instructions for adding a cash and/or forward cash sale. To add a cash sale, select the green “+Add sale” button. 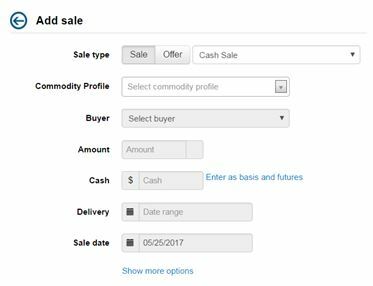 Select “Cash Sale” as the sale type and corn as the commodity profile. Cash sale is the sales type for both a spot sale and forward cash contract. 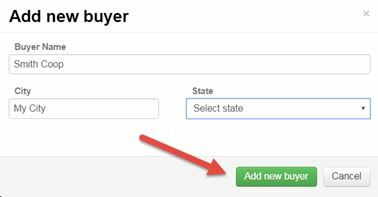 Create a buyer by selecting “Add new buyer” from the buyer dropdown. Enter your teacher’s last name and coop as the company name. Ex: Smith Coop. Enter your city and state and select the green “+Add new buyer” button. Keep this selected as the buyer. Enter 25,000 bushels in the “Amount” field. Enter a “Cash” price of $3.53 per bushel. This is the cash price that the buyer is willing to pay for the corn. If this is a spot sale and delivery is being made today, enter today’s date in the delivery section. If this is a cash forward contract, choose a future delivery date range between October 1 and November 30. Click the green “Apply” button to save the date range. Enter today’s date as the “Sale date”. To add a reference ID or notes, click the “Show more options” link. 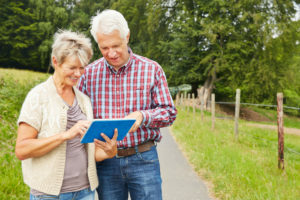 Notes are intended to provide the producer with an explanation of the transaction or a reminder for future actions required. Do not add a note today. Select the green “+Add sale” button to save the transaction and click the “View sale” arrow to return to the cash sales list. The pie graph on the right of the screen demonstrates the percentage of corn unsold and sold under various contracts. Share with a neighbor what percentage of corn you have sold with this cash contract. GrainBridge also provides a list of the quantity and price of bushels sold. The top line in bold provides the weighted average price of your entire corn production, including unsold bushels. 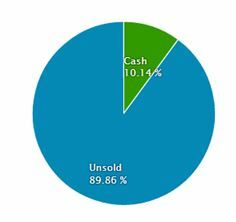 To review or edit any cash sales, refer to the Sales list in the lower half of the Cash sales tab. To make changes, such as enter a delivery or notes about the sale, select the “View” link to the right of the sale. You have now added a cash grain contract to your account! There are seven primary components of a livestock “Cash sale” that are recorded in GrainBridge. Select “Cash Sale” as your sale type and live cattle as the commodity profile. Select “Add new buyer” from the “Buyer” dropdown. Enter your teacher’s last name and processing as the company name. Ex: Smith Processing. Enter your city and state and select the green “+Add new buyer” button. Keep this selected as the buyer. “Pounds per head” is the weight of each animal. Enter 1250 in the pounds per head section. This cash sale will be for 100 head of live cattle. Enter this value in the “Head count” section. Enter a cash price of $1.19 per pound. *Note: The GrainBridge application calculates livestock production on a per pound (lb) basis because it is commonly used by producers. Buyers, on the other hand, calculate price using “per hundred weight” (cwt). Price for livestock is often reported using per hundred weight. To convert the price per hundred weight to price per pound, divide the per hundred weight price by 100. Thus, a price of $119/cwt for live cattle is equal to $1.19/lb. If this is a spot sale and delivery is being made today, enter today’s date in the delivery section. If this is a cash forward sale, select the delivery date range of June 1 to July 31. Click the green “Apply” button to save the date range. To add a reference ID or notes, click the “Show more options” link. Notes are intended to provide the producer with an explanation of transaction or a reminder for future actions required. Do not add a note today. Select the green “+Add sale” button to save the transaction. 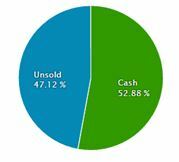 Click the “View sales” arrow to return to the cash sales list. The pie graph on the right of the screen demonstrates the percentage of live cattle production sold and unsold. Share with a neighbor what percentage of your live cattle production you have sold with this cash sale. GrainBridge also provides a list of the quantity and price of pounds sold. The top line in bold provides the weighted average price per pound of your entire live cattle production, including unsold livestock. You have now added a livestock cash contract to your account! Select “Basis” as the “Sale type” and corn as the commodity profile. 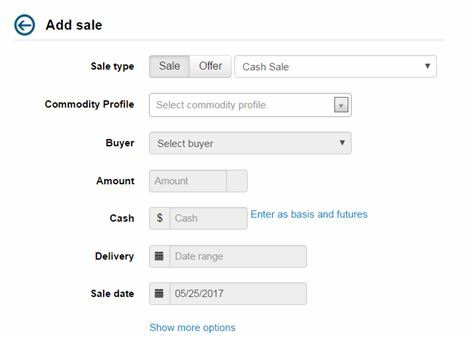 Select the buyer you created in the cash sale module. Enter 20,000 bushels in the “Amount” section. For this module, set the basis at -$0.15 with the futures month of December of the current year. Set the “Delivery” range as 12/01–12/31 for the current year. Enter today’s date as the basis set date. Select the green “+Add sale” button to save the transaction. Select the “View sale” arrow to return to the cash sales list. The pie chart to the right of the screen demonstrates the percentage of corn sold with a basis contract. Share with a neighbor what percentage of your corn production is sold with a basis contract. Follow the future price for December corn for the next three weeks and set the futures price for this contract when you think you can maximize profit on this contract. To view the futures price for December corn, visit the Grain PHD website. When it’s time to set basis, either prior to or at the date of delivery, select “View” next to the basis contract. Select the “Set futures” button and enter the futures price for this contract. After entering the futures price, you have now completed a basis contract in your GrainBridge account!